At Groundtrax, we understand that we have a responsibility to protect and respect your privacy and look after your personal data. For clarity, Groundtrax Systems Ltd may be both data controller and data processor for your personal data under certain circumstances. Groundtrax Systems Ltd are the UK’s number one specialist supplier of ground protection and reinforcement systems supplying many of the country’s largest companies and organisations. Our registered office address is: Station Yard, Ripley, Harrogate, North Yorkshire. HG3 3BA. 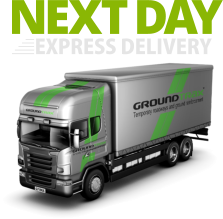 We will keep your personal data for the duration of the period you are a customer of Groundtrax. We shall retain your data only for as long as necessary in accordance with applicable laws. We may share your information if we are acquired by a third party and therefore your data will be deemed an asset of the business. In these circumstances, we may disclose your personal data to the prospective buyer of our business, subject to both parties entering into appropriate confidentiality undertakings. Similarly, we may share your personal data if we are under a duty to disclose data in order to comply with any legal obligation or to protect the rights, property, or safety of Groundtrax, our customers, or others. This includes but is not limited to exchanging information with other companies and organisations for the purposes of fraud protection, credit risk reduction and dispute policies. However, we will take steps with the aim of ensuring that your privacy rights continue to be protected. In preventing the use or processing of your personal data, it may delay or prevent us from fulfilling our contractual obligations to you. It may also mean that we shall be unable to provide our products and services or process the cancellation of your order. You can view, edit or delete your personal data via your online account (Contractors Yard clients). You can also make choices about Groundtrax’s collection of your data and how we use it. You have the right to access the information we hold about you. Please email your requests to privacy@groundtrax.com so that we can obtain this information for you. Groundtrax may provide links to third party sites. Since we do not control those websites, we encourage you to review the privacy policies of these third party sites. Any information that is supplied on these sites will not be within our control and we cannot be responsible for the privacy policies and practices of these.